A continuance of the heightened health awareness among consumers has shone a light on low- and no-alcohol drinks. Decent alcohol-free serves have become a regular bar menu fixture in the haute cocktail scene, with rising demand for booze-free serves being spearheaded by the younger generation. The likes of London bars Dandelyan, Nine Lives and Duck & Waffle have adapted to the trend, adding carefully curated non-alcoholic and low-­abv libations to their lists. It’s no surprise that the bigger drinks producers are looking for a slice of the teetotal action. 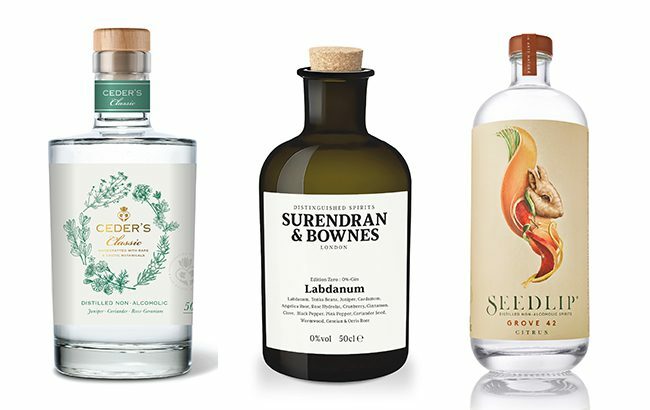 Diageo holds a minority stake in Seedlip, the “world’s first” distilled non-alcoholic spirit, while Pernod Ricard recently entered the realm of alcohol-free spirits after agreeing a distribution deal with Ceder’s, which is made in Sweden. Click through the following pages to see our pick of top non-alcoholic ‘spirits’. Where can these products be purchased?